Tularemia in dogs, also known as rabbit fever, is a disease caused by an infection of Francisella tularensis bacteria. The bacteria exists throughout the United States and elsewhere in the Northern Hemisphere. The disease is known as rabbit fever because it’s commonly found in rabbits and other rodents. However, many other animals can carry and transmit the bacteria that causes tularemia, including birds, reptiles, insects, and even humans. Generally dogs are fairly resistant to the bacteria, and their immune systems can fight off infection. This makes the disease uncommon in canines. However, when symptoms do appear, it’s important to seek veterinary care right away, as the disease is often fatal. Early treatment with antibiotics is essential to curing the condition. The disease can also spread to humans, and humans who come into contact with an infected dog, even to give treatment, must take precautions. Furthermore, the bacteria can spread through a bite from an infected dog. It can even be inhaled during grooming or normal handling of an infected dog. If you suspect tularemia in your dog, consult your veterinarian immediately so they can diagnose and treat the infection. Here is what you should know about the symptoms, causes, and treatments for tularemia in dogs. 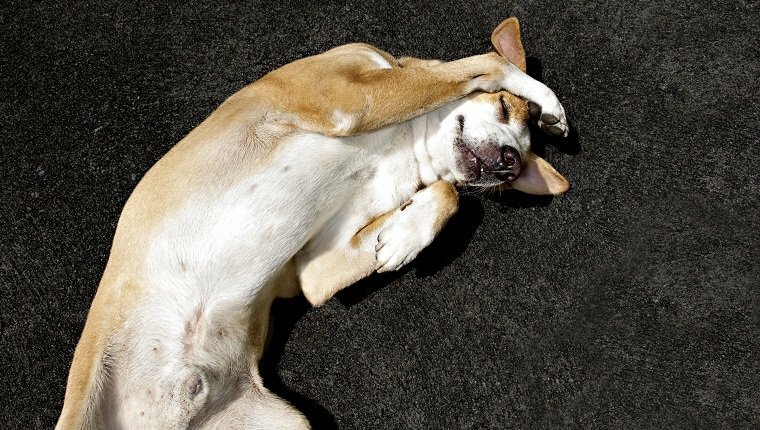 The symptoms of tularemia in dogs may be mild or severe. 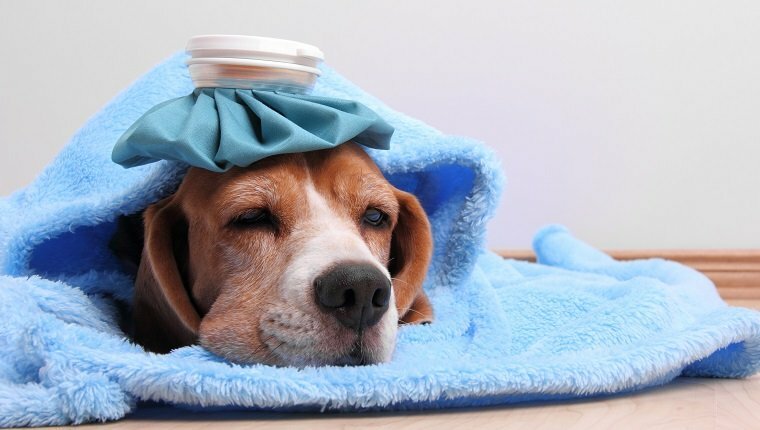 Dogs may only experience mild loss of appetite and a low fever, or they can experience acute, severe symptoms like high fever and even organ failure. If you see any of the following symptoms in your dog, consult your veterinarian right away, as early treatment is integral to preventing death. The cause of tularemia in dogs is an infection of Francisella tularensis bacteria, which can be transmitted in several ways. The bacteria can be acquired through drinking contaminated water, being in contact with contaminated soil, or through contact with an infected animal. Most dogs fight off the bacteria, but dogs with weakened immune systems, especially puppies with undeveloped immune systems, face higher risk. 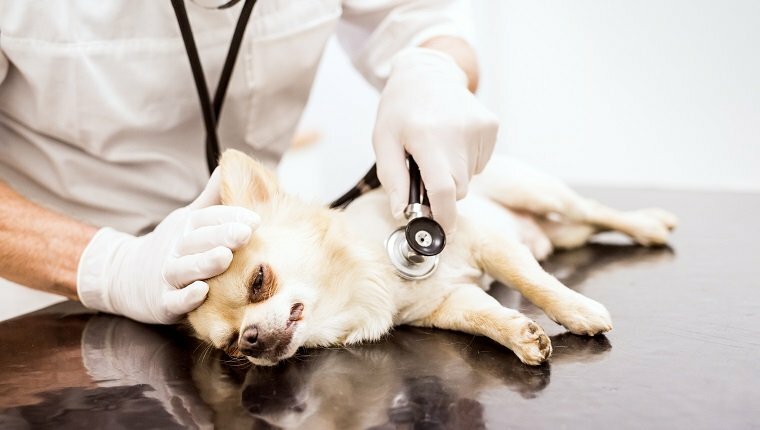 Often the disease spreads through ingesting tissue from an infected small animal, such as rodents, birds, or reptiles, which dogs may hunt or eat. 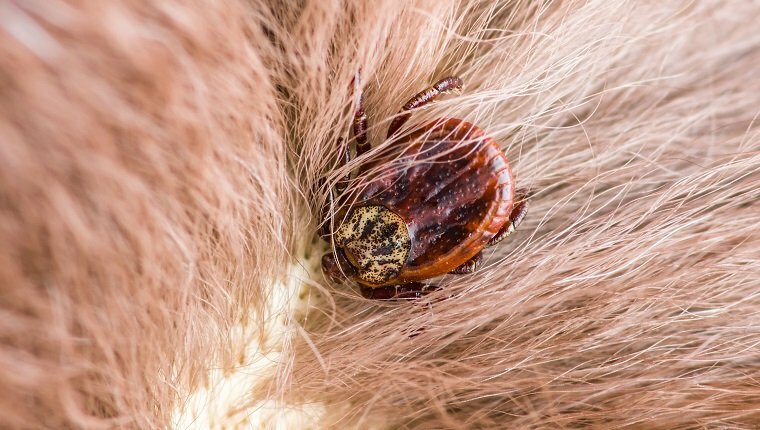 Bites from fleas, ticks, or mosquitoes that carry the bacteria may also cause tularemia, and at least four known species of ticks can transmit the disease. The bacteria may enter through inhalation, through the skin, or through the eyes. The bacteria can be found in many parts of the Northern Hemisphere, but it is common in the United States, especially in Arkansas and Missouri. Tularemia in dogs is most common between May and August, and it can also appear during winter rabbit hunting season, as rabbits are carriers of the disease. Treatment for tularemia in dogs must begin as early as possible to prevent death, which is common with this disease. It is important to take precaution when administering treatment to infected dogs, as the disease can easily be transmitted to humans. If your vet diagnoses your dog with tularemia, follow instructions for care very closely. Some dogs with severe symptoms will need aggressive care and hospitalization with intravenous fluid therapy. Almost all dogs diagnosed with the condition will need a course of antibiotics to fight the bacterial infection. If your veterinarian prescribes an antibiotic for your dog, it is important that you continue administering medication to your dog for the full duration of the prescription until your veterinarian instructs you to stop, even if symptoms improve. Stopping treatment early can cause a relapse that is even more difficult to treat.